While I generally pride myself in being one of the few people that don’t get addicted to playing games; I should say that I’ve lost all pride after giving “Does Not Commute” a try. 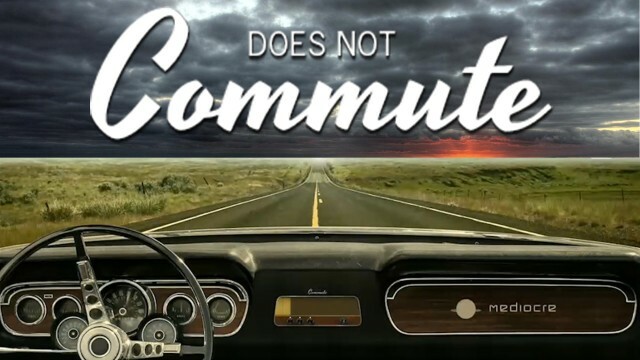 Does Not Commute is a strategic driving game developed by Mediocre that gives you the responsibility of helping people travel to and from their destinations. It’s a pretty simple concept really; all you have to do is to tap on either the left or right side of the screen to direct the car to your preferred direction while it accelerates autonomously. While it may appear to be straightforward, you will soon realise where the difficulty comes in, from the second or third car onwards. It’s not that the controls change, but you have to ensure that your car doesn’t bump into the other cars that you have driven, as the game will be replaying the exact routes that you took before in the previous rounds. Does Not Commute is not just about the cars, it’s much more than that. Every car has a driver and the game’s storyline tends to reveal certain secrets of the driver as you play along. 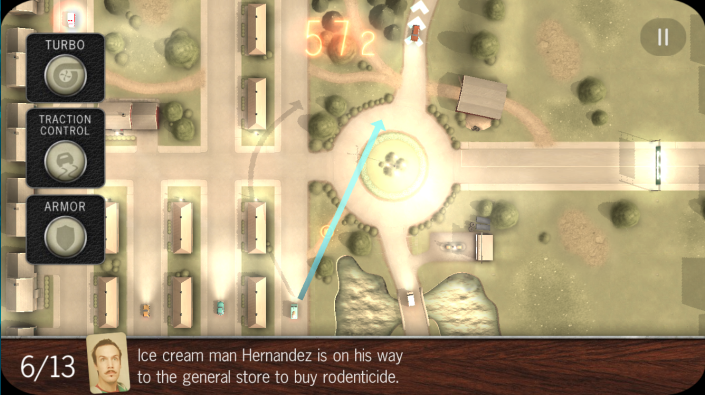 For example, in level one, ice cream truck driver Hernandez goes to the store to buy rat poison, and in level three, he takes the ice cream truck to the beach where a family ends up falling sick. The storyline reveals unique idiosyncrasies that relate to each character. However, it’s very easy to not pay attention to them once you’re engulfed in the getting your car to its destination without bumping into the others. There’s also a timer that’s on display at the top center of the screen and once the timer it hits zero, the game comes to an end. However, there are also time-savers in the shape of coins that are dispersed around each town that you could pick up while driving to your destination to increase your time. As you progress through the levels, there are also special boosts that you can unlock. These boosts give you more traction, more speed and even armor when you’re driving around. The good thing about the boosts is that once you unlock them they will be available every time you play the game. 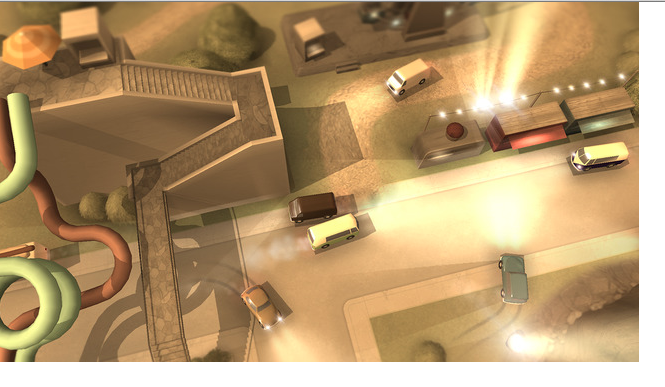 With each level you can expect more number of cars, a more intricate storyline and a greater number of crashes. While the game is free and there are no ads (which is a good thing), you won’t be able to save your progress, neither can you restart the game from the last known checkpoint. You always have to start from level one; whether you move away from your app just for a few minutes or if you restart it on another day. It’s a turn-off especially if you’ve made significant progress and press the home button by mistake—you end up having to restart the game right from the beginning. Given the choice, between pop up ads and having to restart the game each and every time, I would pick up the lesser of the two evils and that’s the ads. But you could simply avoid all of the stress of having to restart each and every time by simply purchasing the game for USD$1.99. This is a fun game that I’ve been playing for the past month and it’s one that keeps getting more complex and exciting at each level. Think you’re a good driver? Test your skills by downloading this game that’s currently available on both iOS and Android.